By connecting two underwater caverns, the Gran Acuifero Maya (GAM) project identified the 347km (216-mile) cave to reveal what is believed to be the world's biggest flooded cave. 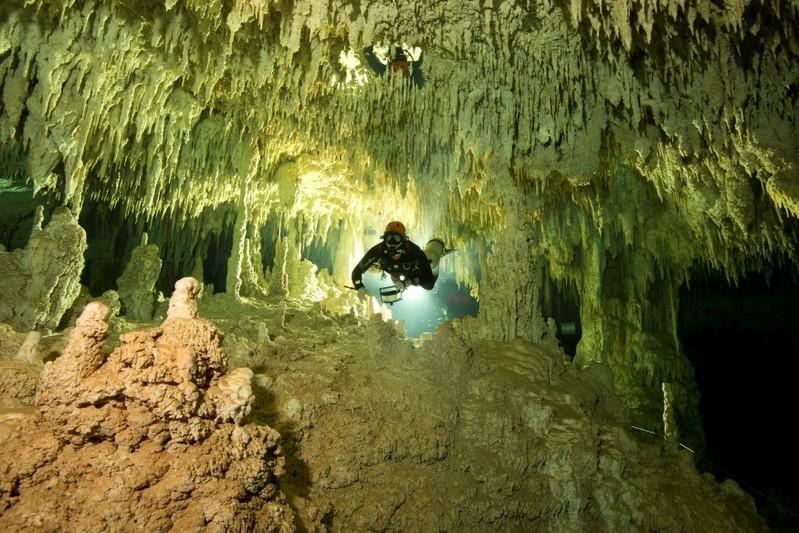 The Gran Acuifero Maya (GAM), a project dedicated to the study and preservation of the subterranean waters of the Yucatan peninsula, said the 347-km cave was identified after months of exploring a maze of underwater channels. The caves of Sac Actun - once measured at 263 km - and the 83km Dos Ojos system have a tunnel that connects them and following conventions the largest cave absorbs the small, so Dos Ojos becomes part of Sac Actun. According to the Guardian, Guillermo de Anda, director and underwater archaeologist on the Gran Acuifero Maya team, said the “amazing” find would help to understand the development of the rich culture of the region, which was dominated by the Maya civilization before the Spanish conquest. “It allows us to appreciate much more clearly how the rituals, the pilgrimage sites and ultimately the great pre-Hispanic settlements that we know emerged,” he told Reuters. "I have been exploring the caves for more than 20 years and I managed to make a connection with the Sac Actun and Nohoc Achich system, which are now the largest underground rivers in the world," he added. In addition from finding the connection, the explorers also found remains of pre-Hispanic animals, human skeletons and a great variety of archeology finds that dates back to ancient Mayan civilizations.